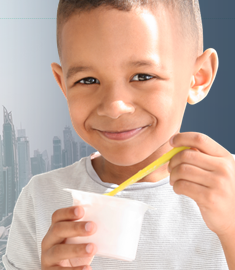 Join us from 17th – 21st February 2019 in Dubai at one of the world’s largest food and beverages trade show and discover our wide range of dairy ingredients. Our dairy solutions have been developed to meet different market expectations: dairy products, bakery, confectionary, and biscuits as well as nutrition applications. Visitors to our stand will be able to discover our range of dairy powders, whey powders, dairy proteins, milk fat and cheeses. We will highlight specifically our range of fat filled milk powders. As a global milk and whey producer, LACTALIS Ingredients can provide a technical support to help use our ingredients according to the specificities of your process. If you are planning to visit Gulfood 2019, please stop by stand C1-34. We will be pleased to welcome you.